There’s one genre of offline gaming that I have never gotten involved in, and that’s CCG’s/TCG’s (collectible card games/trading card games). Not because I wouldn’t enjoy them – I know my personality and would spend a ton of money making sure I had the best decks to play with. This obsessive tick is prevalent in other parts of my life (board games, collections, etc.) and I know if I jumped down the rabbit hole of ever-expanding card games, I would never see the light of day. That’s not to say I haven’t tried them before. I remember picking up the very first issue of the Star Trek CCG back in the 90’s. We opened all the packs, but never played the game. In the end we used the cards to get autographed when we went to southern California Star Trek conventions. A little over five years ago we participated in the Hearthstone beta and still have it installed on our iPad for when we’re travelling. 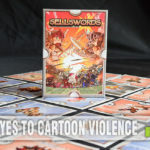 Although it has a pay-to-play feature, we never used it and were happy to just earn bonus cards along the way. For the most part, TCG’s haven’t appealed to anyone in the house since we didn’t have a connection to the theme. 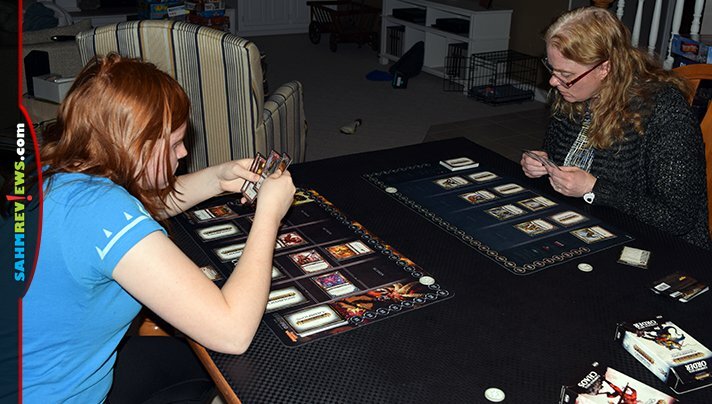 One exception was Pokemon – both girls used to buy packs and did play a few games against each other and a couple neighbors. But they were more content to just collect cards of their favorite characters. You might remember us talking about a couple friends that play a lot of Warhammer. 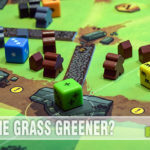 It’s a miniature-bases skirmish game that plays on large tables with obstacles and custom terrain. Madison and Kennedy enjoy taking terrain-making classes at the Origins Game Fair each year and giving their creations to our friends to use in their games. And we also used one of their game days to try out new 3D buildings and features from Games06. 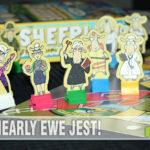 Just last month we also gave away a brand new copy of Gretchinz! as part of our holiday giveaway promotion – another Warhammer-themed game! It seems we do have a connection to a theme that is now a TCG! 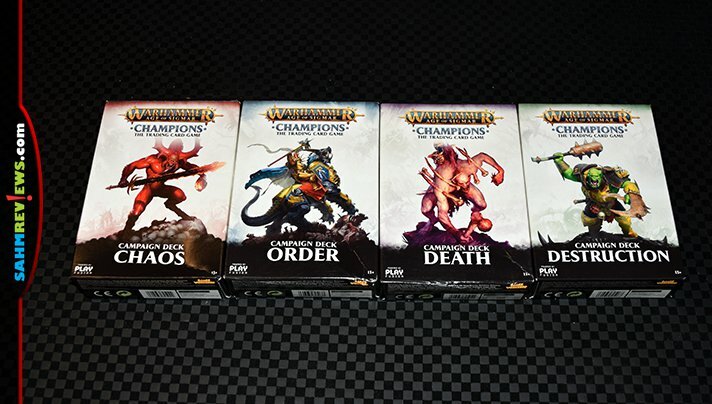 The brand new Warhammer Age of Sigmar: Champions is Play Fusion‘s entry into the world of trading card battle games. Like most in this category, it is designed for two players who face off against each other until a player’s health is reduced to zero. 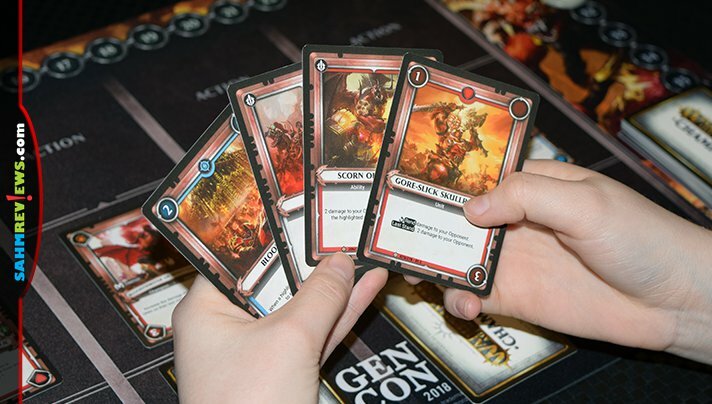 Convenient and inexpensive starter decks are available for each of the four alliances (Chaos, Destruction, Death and Order) and nicely include a bonus booster pack so you may start customizing your game with thirteen additional cards! 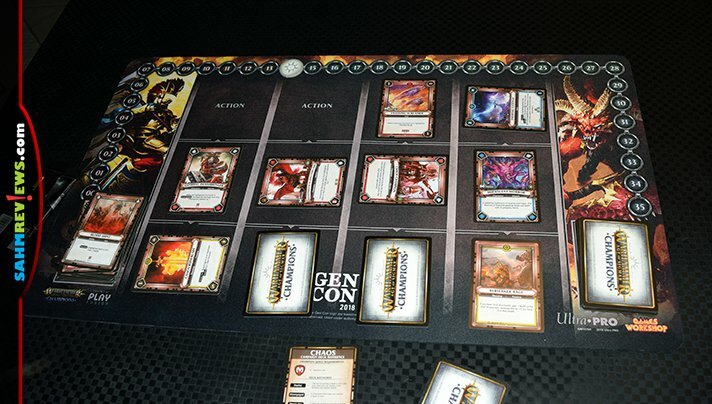 In Warhammer Age of Sigmar: Champions players will be constructing their own deck (army) of allied units, spells and champions and taking turns playing cards to hopefully deal more damage to their opponent than they receive. This, of course, is exactly the premise of most every other TCG on the market. But what makes this game different is the method in which the cards you play uniquely work together. The first thing you’ll discover is that you do not draw new cards every hand. Card management is crucial to your strategy and you’ll have to pass on an action in order to draw a new card. But I’m getting a little ahead of myself – let’s talk about the setup first. 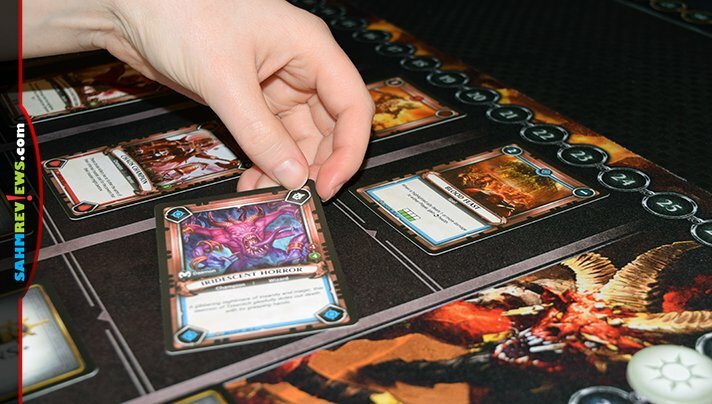 Each deck will be made up of four champions with a total value of no more than 20, printed in a small green circle on the right side of the card. Additionally, four blessings will also be selected, which are the bonuses the champion will receive if they complete their in-game quests. Lastly, a draw deck of 30 cards is constructed and is made up of spells, abilities and units. Every one of these 38 cards can be switched out with others you obtain from booster packs, singles from your local game store and of course, trading with friends, to formulate your perfect army. The four champions are set out in the play area into four columns, each with a face-down blessing directly underneath. The positioning of each champion is important as some give bonuses to other champions around them. On a turn you will take only two actions. This might be to play a card, activate a heroic action or to pass (passing allows you to draw a card into your hand at the end of your turn). Played cards are placed above a champion and may either activate immediately or on subsequent turns, depending upon their symbol in the upper left corner of the card. Each round these cards will be rotated counter-clockwise, revealing a new ability or removing it from the game (if there are no more symbols). We really like this feature of timing how long a card will remain in play. A similar unique feature is found on the champions cards. Each champion has a symbol in each corner, but only the one in the upper left is active. This is the champion’s current objective and is completed when you take an action that matches its symbol. This ranges from playing a unit/ability/spell onto that champion, dealing damage or healing either player or removing a unit or spell via a “remove” effect. Once the objective is complete, that champion is also rotated counter-clockwise, opening up another objective. After the fourth rotation, that champion’s quest is considered complete and their blessing is uncovered. Certain unit cards also allow for stacking – meaning they can be stacked on top of other units that are already in play. This new unit begins in its normal position and the card(s) underneath it are no longer active. However, they can still provide bonus support to the top card, potentially making it stronger. When the top unit card is used up, the entire stack is discarded. You can create multiple card stacks on champions, but no stack may have more than three cards. Because every card has a different action or ability, it would be impossible to cover them all in a brief overview. Fortunately the cards are very descriptive with color-coded words, game tags and clear descriptions. 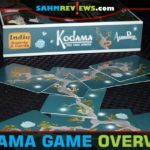 All you need to go to get up and running is the basic understanding of how the game plays and then let the cards dictate your strategy for the first few games. After that, you’ll be ready to customize your deck and will be itching to run to the store to pick up just a couple more booster packs! 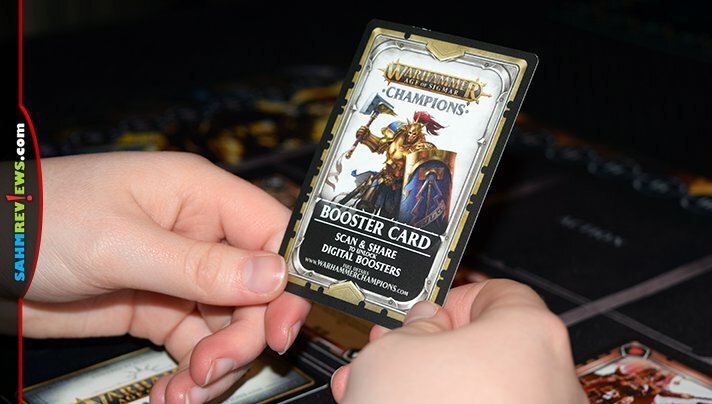 Here’s a nice bonus you don’t see in other games – each purchased card can be scanned and activated in the digital version of Warhammer Age of Sigmar: Champions. Digital duplicates can be converted into currency which allows you to level up your other digital cards! Apps are available on Google Play, the Apple Store and on Steam. 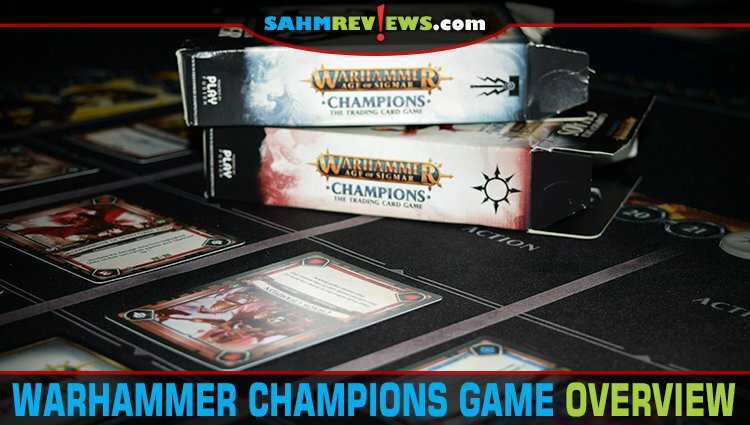 At around $12 per starter deck on Amazon, Warhammer Age of Sigmar: Champions is one of the most inexpensive games in this genre. Booster packs are much less and a great way of personalizing your deck to fit your play style without breaking your budget. Find out what else Play Fusion has in store for the game by checking out their official website then learn more about sponsored city tournaments and upcoming releases through their social media channels (Facebook, Twitter)! 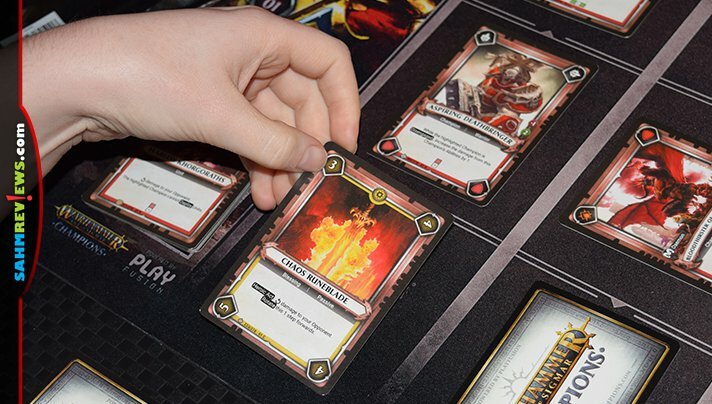 Have you played any of the games set in the Warhammer universe?